Every team while scouting for players look at cricketers who are multi-dimensional, with an ability to put in performances with their primary facet and make some sort of contribution with any of the others. 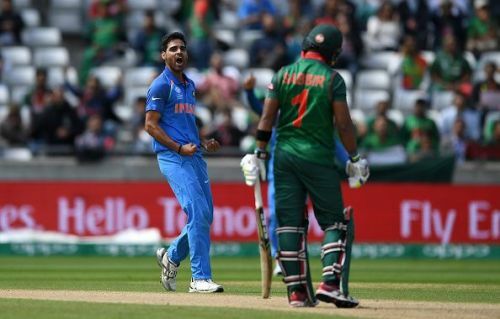 The best example for such a type of player in the present setup is that of Bhuvneshwar Kumar, who has over the years coupled his ability to take wickets with his swing with a very reliable ability to get crucial runs with the bat down the order for India. His batting exploits were on view on Friday when he made 21 critical runs down the order to keep India in the game after the top order had flattered to deceive and the middle-order had just about kept India in the game. Playing his debut Test against the Australians at home, Bhuvneshwar must have hoped he would claim a five-wicket haul on debut and thereby, make it a start to remember. 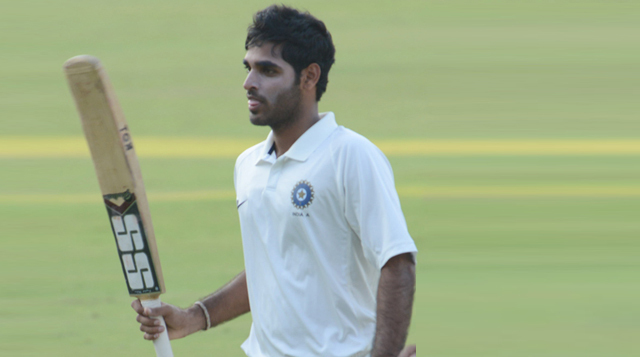 Instead, he put up a performance with the bat which proved to be vital for India, eventually winning the game. Walking to bat with his side 406 for 8 and leading by a mere 26 runs, he put 140 runs for the ninth wicket with MS Dhoni contributing 38 to that total take India's lead to 192 runs which proved to be decisive in the end. Batting second, Australia were dismissed for 241 and India got the runs with eight wickets in hand.